Seeing the photograph of the Alytus shul in a recent edition of the Cape Jewish Chronicle (Aug. 2013) brought back memories of a trip in 2007 to find our roots. This was the building we spent quite some time at, picking our way through the unkempt grass, littered with broken glass and other rubbish. The derelict shul is one of the very few remnants of what had been a substantial and thriving Jewish community for many years, a community of devout Jews with a number of Yeshivot and other Jewish schools and community centres. Alytus is not well-known among South African Jewry since it does not seem to be a town whose inhabitants joined the search for the riches at the tip of the African continent — as with the towns whose names many of us recognise from the stories our parents and grandparents told us: Vilna, Kovno, Riteve, Kupershik, Ponevys. Our father grew up in the then fairly large town of Alytus, leaving for Vilna in 1940 to study at university — just a teenager, leaving his home and his mother behind. Aside from financial constraints, it was not easy to be accepted into the university, since there was a quota for Jewish students. He had completed almost one year of his studies in language and literature when the Nazis invaded Lithuania. But for his having been out at the time of the roundup of the Jews of Vilna, he may not have survived. In fact, he went through much soulsearching throughout his life about the fact that he survived when so many others did not. The story of his wartime years is one about life in the Vilna Ghetto, his escape from the ghetto to the forests, where he joined a group of partisans. He was thus able to avoid the liquidation of the ghetto, which would probably have meant certain death. Our visit to Lithuania in many ways raised many more questions than answers. We learned, for instance, that the Lithuanians welcomed the Germans with open arms, seeing them as a far better option than the cruel Soviets they had lived under for a number of years. “How is it possible to want the Nazis to rule you?” we thought. Would we find out more about the family we knew had been killed in Alytus? We knew that our father’s sister, Boonah, after whom I, Bonny, am named — a yahrzeit licht kind — had been forced to dig her own grave, kneel in front of it, and was then shot in the back of the head, her baby girl joining her in this beastly death. 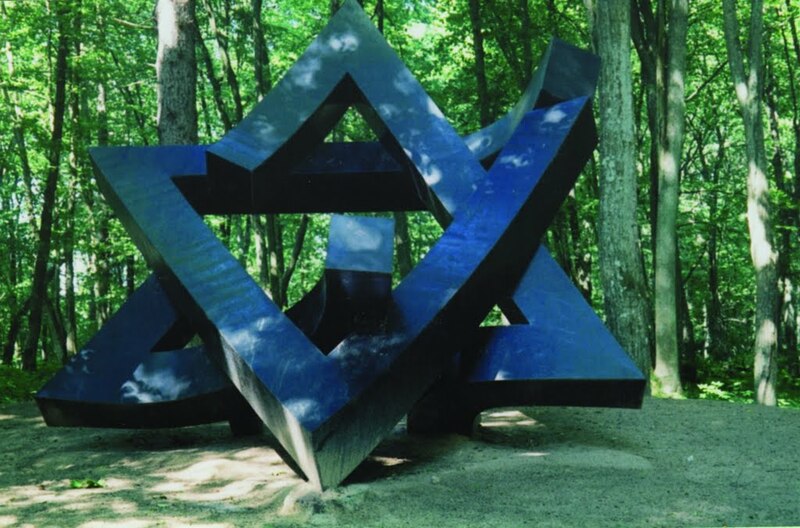 This seemed to be confirmed when we visited the beautiful forest in the town, where a striking memorial to the Jews of the town hides under the trees. This sense of the failure of the population to acknowledge its past was shockingly clear when we visited the partisan forests, finding with difficulty the remnants of the bunkers that the partisans lived in. No signage points one to the site, no memorials have been put up, no signboards record the history of what happened here. In fact, it is apparently the case that some Lithuanians see this as a negative element of the history of the country, because the partisans were fighting the Germans, whom the locals saw as their liberators from the Soviets. Our trip to Lithuania — in particular to the places that filled our father’s life for 25 years — did not give us a sense of our origins or of being in touch with our past. Lithuania appeared to us to be harsh country, with a population lacking the strength and dynamism that could move them into the modern world. We could not really imagine our father thriving in a place like this, and felt grateful to have had the opportunity to grow up in South Africa.